Genuine OEM Okidata Drum Unit, Black, 30,000 page yield. Okidata part number: 43913836. Drum Unit compatible with Okidata MPS710c. Genuine OEM Okidata Toner Cartridge, Cyan, 11,500 page yield. Okidata part number: 43866143, Type C12. Color Laser Toner Cartridge compatible with Okidata MPS710c. Genuine OEM Okidata Toner Cartridge, Magenta, 11,500 page yield. Okidata part number: 43866142, Type C12. Color Laser Toner Cartridge compatible with Okidata MPS710c. Genuine OEM Okidata Toner Cartridge, Yellow, 11,500 page yield. Okidata part number: 43866141, Type C12. Color Laser Toner Cartridge compatible with Okidata MPS710c. Genuine OEM Okidata Toner Cartridge, Black, 11,000 page yield. Okidata part number: 43866144, Type C12. 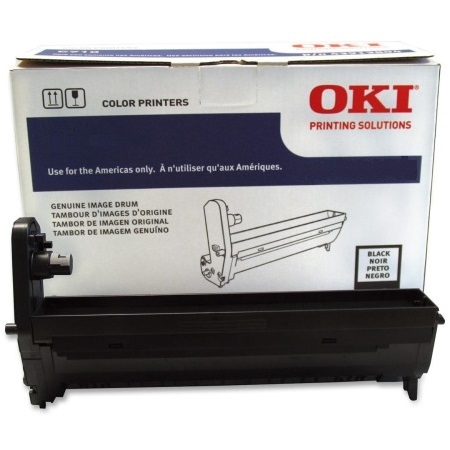 Laser Toner Cartridge compatible with Okidata MPS710c. Genuine OEM Okidata Drum Unit, Cyan, 30,000 page yield. Okidata part number: 43913835. Drum Unit compatible with Okidata MPS710c. Genuine OEM Okidata Drum Unit, Magenta, 30,000 page yield. Okidata part number: 43913834. Drum Unit compatible with Okidata MPS710c. Genuine OEM Okidata Drum Unit, Yellow, 30,000 page yield. Okidata part number: 43913833. Drum Unit compatible with Okidata MPS710c.